If you’re looking for a way to combine creative and critical thinking with kids, consider challenging them to create puzzles for others to solve. 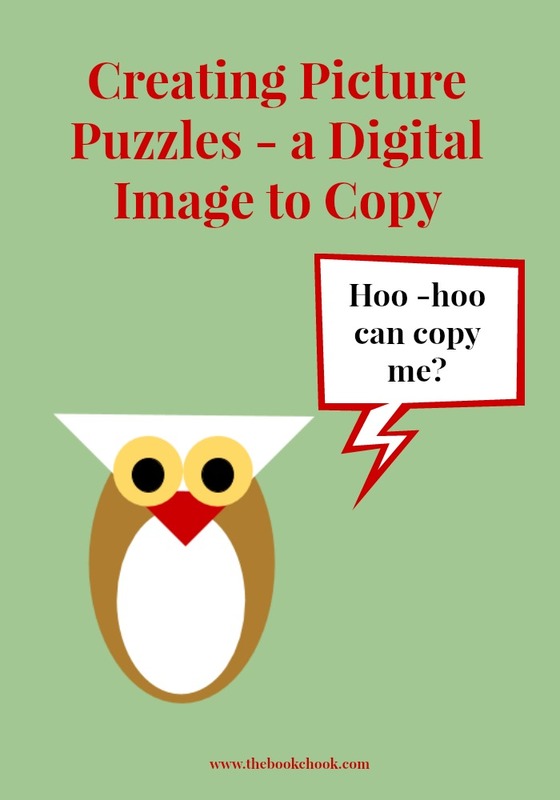 Make the focus on creating picture puzzles, and there are plenty of opportunities for both learning, and practising visual and digital literacy skills. In the first activity in this series, Creating Picture Puzzles - Spot the Difference, I detailed two methods for kids to create Spot the Difference puzzles. Over the next several weeks, I will be sharing more ideas for kids to create different picture puzzles. Creating an image for someone else to duplicate it is almost as much fun as the personal challenge of duplicating someone else’s image! Today I am going to focus on how kids can create a digital image for another child to copy exactly. This activity uses the free Google Drawings in Google Drive but kids could use any program that will allow them to add images in layers. 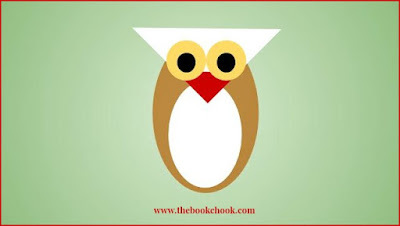 For the very simple owl image above, I opened a new canvas in Google Drawings, right-clicked and chose a green gradient for my background, then used circles for the body (pinched out to become ovals), triangles for the head and beak, and more circles for the eyes. If children are not familiar with Google Drawings, they could use this simple owl shape image to practise using the tools. For something different, can children have fun with shape building and try to build a different recognisable image like a different animal or vehicle perhaps? Have kids explore the shape menu and experiment with changing colours and shape sizes. Encourage them to use their imaginations and to experiment. The basic rectangle shape can become the basis for a castle, be elongated and duplicated to become arms and legs, be decorated with other shapes, change colour, be covered in text, be made to look as if a bite has come out of it by adding a layer of a black shape, or have other shapes added to create a robot or a monster. As a challenge kids can build a picture constructed from shapes for a friend, then the friend must build the same image. This is an excellent visual literacy activity because kids must really observe carefully to work out the shapes that have been used and how to duplicate them to create their own shape picture. Of course, Google Drawings is not the only tool kids can use to build a picture for others to copy. Online image editors often have geometric and other shapes available, and an iPad app like Assembly is perfect for combining shapes into a picture. What else can children use? I’ll bet they have lots of good ideas.